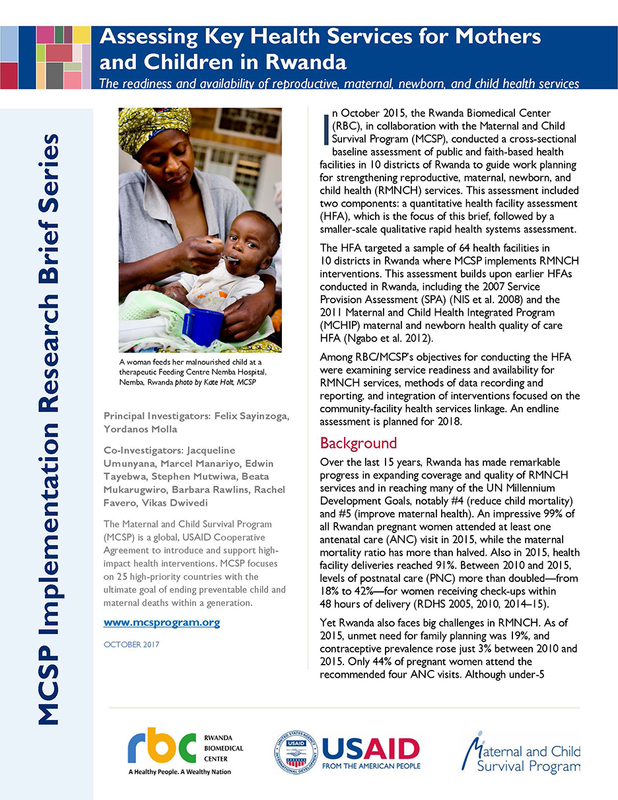 In October 2015, the Rwanda Biomedical Center (RBC), in collaboration with MCSP, conducted a cross-sectional baseline assessment of public and faith-based health facilities in 10 districts of Rwanda to guide work planning for strengthening reproductive, maternal, newborn, and child health (RMNCH) services. 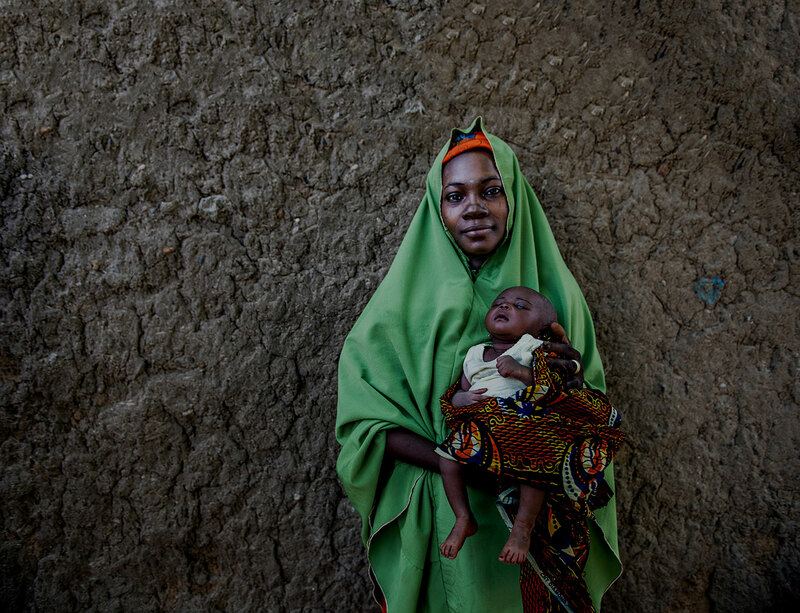 This assessment included two components: a quantitative health facility assessment (HFA), which is the focus of this brief, followed by a smaller-scale qualitative rapid health systems assessment. The HFA targeted a sample of 64 health facilities in 10 districts in Rwanda where MCSP implements RMNCH interventions. This assessment builds upon earlier HFAs conducted in Rwanda, including the 2007 Service Provision Assessment (SPA) (NIS et al. 2008) and the 2011 Maternal and Child Health Integrated Program (MCHIP) maternal and newborn health quality of care HFA (Ngabo et al. 2012). Among RBC/MCSP’s objectives for conducting the HFA were examining service readiness and availability for RMNCH services, methods of data recording and reporting, and integration of interventions focused on the community-facility health services linkage.